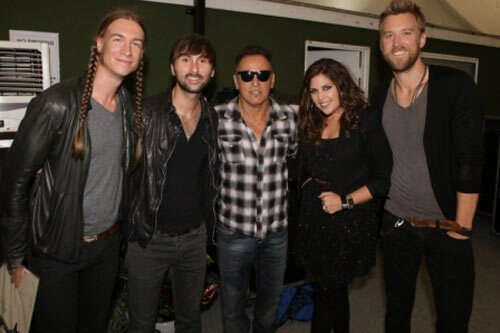 Lady Antebellum took a break from headlining its own European tour to open for Bruce Springsteen in London’s Hyde Park. The show caused quite a stir when organizers cut off the microphone when Springsteen’s set, which featured Sir Paul McCartney, ran overtime. The Daily Beast reports the license obtained by Live Nation expired at 10:30 p.m. Only two nights into a three-day festival, organizers pulled the plug at 10:43 pm. Lady A will continue its Own The Night 2012 World Tour with another show in London, followed by stops in Birmingham, UK (7/17), Zurich, Switzerland (7/19), Frankfurt, Germany (7/20) and Munich and Germany (7/21). For a full list of upcoming tour dates, click here. 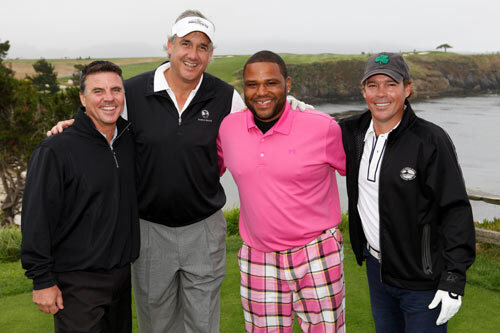 Clay Walker hosted his 5th Annual Charity Golf Classic at the Pebble Beach Resort June 29 – July 2. The event raises money and awareness for his charity, Band Against MS (BAMS). Walker has been battling MS since 1996. NBA All Stars Clifford Robinson and John Starks, WFAN’s Radio & TV Talent Ann Liguori, artist/songwriter/producer T Bone Burnett, actor/comedian Anthony Anderson and singer/songwriter Sarah Marince joined Walker for the week. The Grand Gala included dinner, cocktails, live and silent auction and a concert by Walker with appearances by Marince, Anderson, and Burnett. For more information or to make a donation to Clay Walker’s Foundation click here.